This morning, I woke up with no pain and it was startling. As I confessed in my previous entry, I had been living with pains and aches ever since I started playing hockey again and especially the peak of the discomfort was in the morning, like every part of my body was stiff and seized up like the tin man in the Wizard of Oz. And this extreme discomfort continued until I finished my morning exercise routine. However this morning, despite the fact that I attended a hockey practice eight hours ago, I awoke feeling well rested and serene. While my body was cradled in a warm plump winter duvet, I was stretching my limbs and feeling blissful like that koala in the Cushelle ad chilling out on a fluffy cloud. So what brought this change? It has been almost one month since I introduced a series of therapeutic stretching into my morning workout and it was a revelation. The stretching is constructed with three separate workouts – for upper body, core and lower body – and it takes 45 minutes to complete. As the length of time to finish it suggests, the programme is very thorough and educational. I have a dodgy right hip joint and it has been the cause of my misery every time I skate. I can’t remember exactly since when the problem started but I have been living with this annoying pain for more than fifteen years. I visited a physio and spent a small fortune to solve it but it was never cured. It is a mystery, the physio sighed and advised me to rest the area. Then, I took a time-off from skating for more than 18 months and during the period, I was leading almost pain-free life. Occasionally, I felt a slight niggle when I rode an exercise bike hard but I didn’t make nothing of it. However, the familiar old pain returned as soon as I started to skate again a month ago, exactly the same way and on the same spot. I was shocked but also realised that the pain was not caused by a simple injury because if it was, the pain should have gone by now. So what am I doing wrong? Why does my hip joint scream with a complaint every time I extend it? I asked one of my teammates who was also a goalie if she experienced a similar problem. She suggested I may have been overstraining the hip joint while striding because my muscles around the buttock and the back of the thigh weren’t working properly. It was a “light-bulb turned on’ kind of moment for me. It was very true that I had a very tight hip. Also the left side of my core / torso wasn’t as strong nor supple as the right side. So my body was out of balance? The stretching programme has taught me a lot about myself which I was not aware all my life. There were so many muscles and joints on my body under the radar! Recently, I am in the process of re-educating myself how to move each part of my body more “mindfully”. For example, making myself aware about turning my rib cage instead of my pelvis and my neck when I am twisting my upper body. Or reminding myself not to lean too forward when I walk so I will not compress my dodgy hip joint too much. There are more than a few adjustments I have introduced to my daily life. It will be wonderful if the change in my workout regime eventually puts an end to my dodgy hip joint saga and allows me to enjoy hockey more. At the end of the day, I just want to be healthy and strong so I can age positively. BTW, I am visiting Paris today! My day trip has just started but already I nearly have had a disaster! 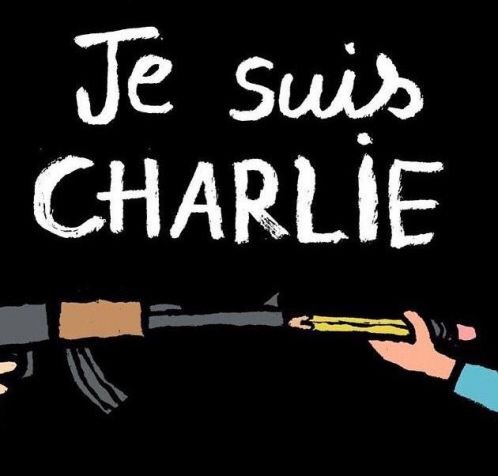 Thank god, the hostage held by the Charlie Hebdo killers is freed. My heart was in my mouth as I watched the scene on the live TV, broadcasting the French police storming the printing factory in where two terrorists and a hostage were holed up. Another siege simultaneously happening at the kosher grocery shop had also ended in the similar manner and it sounded like some of the hostages there were saved. Even though additional lives were lost today, the outcome could have been much worse, and therefore, I am relieved to know that these awful events are now finally over. Who could have imagined on that seemingly ordinary Wednesday just a few days ago, the feeling of terror, which had been deep-rooted in everyone’s psyche since the 9/11 in NYC and the 7/7 in London, would come back and haunt us?